According to US estimates, government forces now control less than 60 percent of Afghan territory. Kabul: Taliban fighters have captured the key district of Sangin in the southern Afghan province of Helmand after security forces pulled out, leaving the district centre to the terrorists, officials said on Thursday. Helmand, which accounts for the bulk of Afghanistan's billion dollar opium crop, is already largely in the hands of the Taliban but the capture of Sangin, where US and British forces suffered heavy casualties, underlines their growing strength in the south. 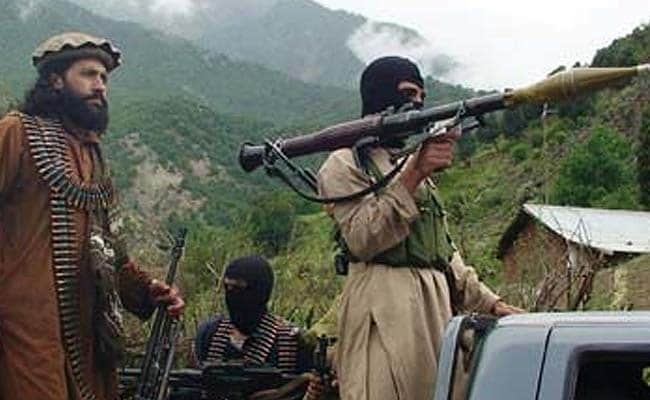 Taliban spokesman Qari Yousuf Ahmadi said Taliban fighters had captured police headquarters and a military base overnight, as well as quantities of military equipment after they were abandoned by retreating government forces. He said the area had been bombarded by foreign forces following the withdrawal of Afghan troops and police, causing heavy damage to buildings and infrastructure. Omar Zwak, the provincial governor's spokesman, said security forces had conducted a tactical withdrawal some three km from the district centre to avoid civilian casualties. Abdul Majid Akhondzada, deputy provincial council chief of Helmand, confirmed that after the retreat, air strikes hit the district to destroy military equipment left behind. With US President Donald Trump yet to announce a new Afghanistan strategy, the loss of Sangin underlines the challenge facing the western-backed government and its international partners. The top US commander in the country, Gen. John Nicholson, said last month that Afghanistan was in a "stalemate" and thousands more international troops would be needed to boost the existing NATO-led training and advisory mission. According to US estimates, government forces now control less than 60 percent of Afghanistan, with almost half the country either contested or under the control of the insurgents, who are seeking to reimpose Islamic law after their 2001 ouster.